The Legacy Group is known for their high quality and a touch of class in their constructions. Bringing alive this promise – a wonderful new residential project coming up in Shettigere, North Bangalore. This is an upcoming area as it is fast evolving as a great investment and high-growth corridor. 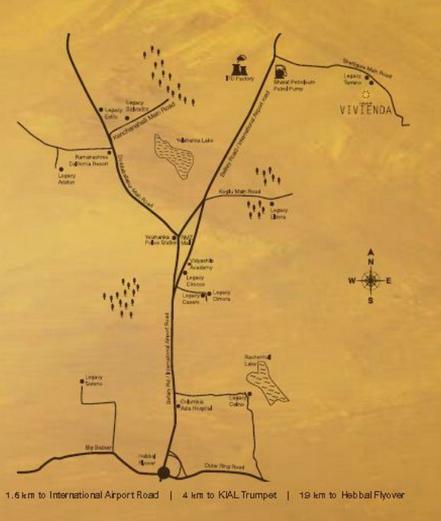 Legacy Vivienda is located at a comfortable distance from BIAL and the site of off NH-7, so connectivity is a smooth advantage here. The campus is spread over 3 acres. The architects have been inspired by Spanish art forms, so the homes and features here have the Spanish charm. Yet, the laid back influence is more to create a relaxed ambiance and is in no way impacting the high functionality of the project. Homes are available in 3 towers in G + 5 formats, so it is a mid-rise project. The formats available are 1 BHK at 660 sq. ft. area, 2 BHK at 850 sq. ft. area and 3 BHK at 1,175 sq. ft. areas. 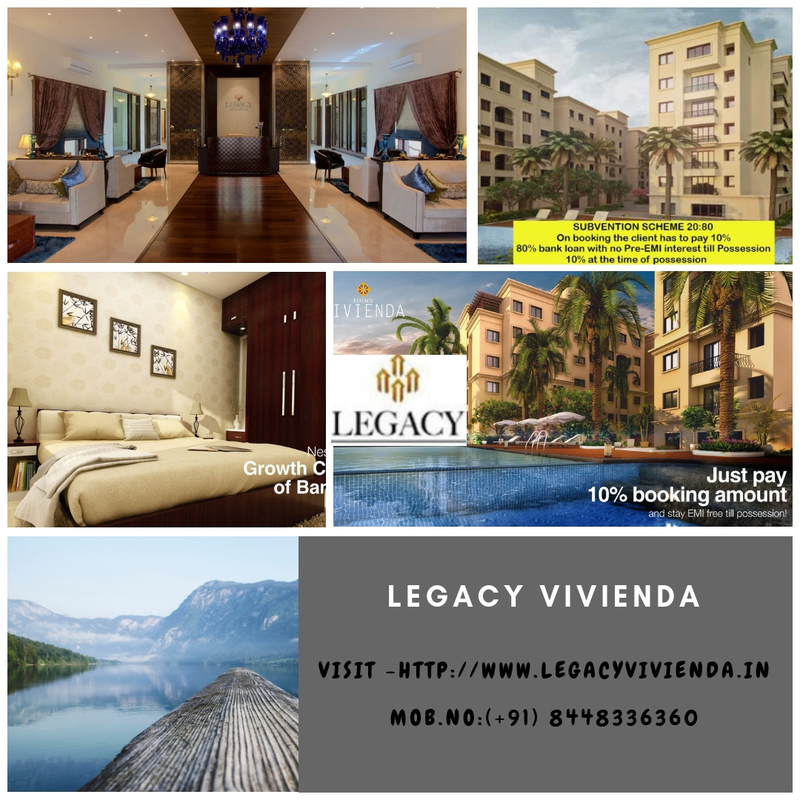 Legacy Vivienda Price is highly affordable as it is set at Rs 3650/- per sq. ft. These homes are well-designed to maximize privacy and comfort. They have grand views from the windows and balconies. Meticulous planning has resulted in features like a hidden place for washing machine in the utility section of each home and provisions for hob, chimney and other fittings in the kitchen. The premises have an in-house RO water softener to supply clean water and a centralized piped gas supply as well. There are many modern amenities within the campus. These include sports and relaxation facilities for every age group and for varied tastes and preferences. Community amenities are here galore for shared joys and celebrations. There is a basketball half court, a swimming pool, gym, TT area, kids play area, billiards room, and a banquet hall. Open green spaces decked with appealing landscaping add to the charm. It’s a wonderful and idyllic looking setup at Legacy Vivienda Bangalore that will make you forget the daily worries! 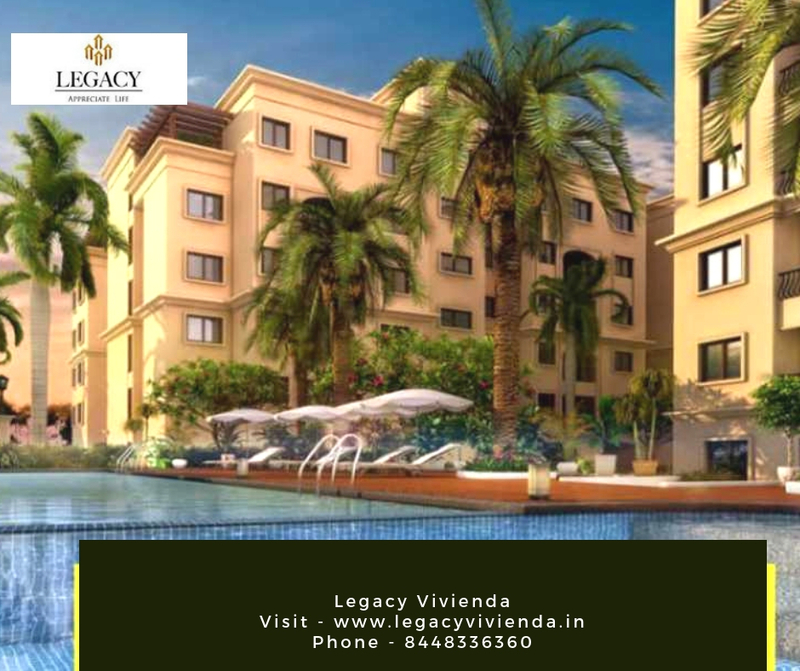 Homes that are magnificent in every manner and which are true living spaces for a prosperous lifestyle are the special attraction of Legacy Vivienda Devanahalli. The development has been perfectly designed and executed by internationally renowned architects, therefore, the quality of interiors here in the supreme level. The region where the project boasts has proximity to the Kempegowda International Airport and the magnificent Nandi Hills which can be viewed from the spacious balconies here. Loaded with outstanding modern comforts and facilities, the complex provides several amenities like intercom, swimming pool, play areas, meditation centre, shopping centre, basketball court, gym, clubhouse, multipurpose hall etc.